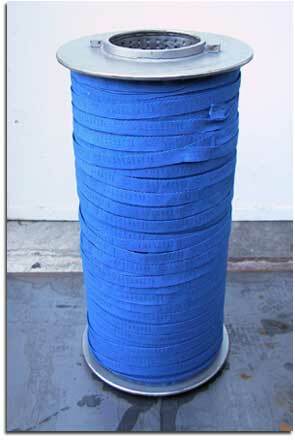 - the API/V, which is the traditional vertical kier dyeing machine suitable for all kind of fibres woven on narrow tapes; these tapes are usually wound on stainless steel beams. This machine is multipurpose as it can dye also Packages, Tow, Tops, Hank, Beams and Loose Fibres. - the API/O, which is the innovative horizontal multi-tubes dyeing machine realized by the OBEM company for dyeing also narrow tapes of all kinds of fibres with very low Liquor Ratio; these tapes are usually wound on stainless steel beams. - the MBC, which is the typical dyeing cabinet for hank on which we substitute the basket with another type with shelves or with drawers on which we lay net-bags filled with narrow tapes or velcro.